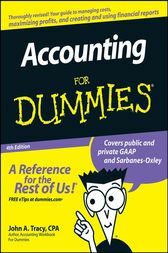 Financial Accounting SFCC Spring 2008 Chapter 9. In this chapter, Professor Susan Crosson provides an introduction to Long-Lived Assets. Part 1 of 8. Financial Accounting SFCC Spring 2008 Chapter 9. In this chapter, Professor Susan Crosson discusses Long-Lived Assets, and in particular: Buy & Lump-sum Purchase. Part 2 of 8. Financial Accounting SFCC Spring 2008 Chapter 9. In this chapter, Professor Susan Crosson discusses Long-Lived Assets, and in particular: Straight line Depreciation. Part 3 of 8. Financial Accounting SFCC Spring 2008 Chapter 9. In this chapter, Professor Susan Crosson discusses Long-Lived Assets, and in particular: Units of Production Depreciation. Part 4 of 8. Financial Accounting SFCC Spring 2008 Chapter 9. In this chapter, Professor Susan Crosson discusses Long-Lived Assets, and in particular: Declining Balance Depreciation. Part 5 of 8. Financial Accounting SFCC Spring 2008 Chapter 9. In this chapter, Professor Susan Crosson discusses Long-Lived Assets, and in particular: Disposal by Sale or Trade-in. Part 7 of 8. Financial Accounting SFCC Spring 2008 Chapter 9. In this chapter, Professor Susan Crosson discusses Long-Lived Assets, and in particular: Partial years, Tax Methods, Rate Revisions. Part 8 of 8.